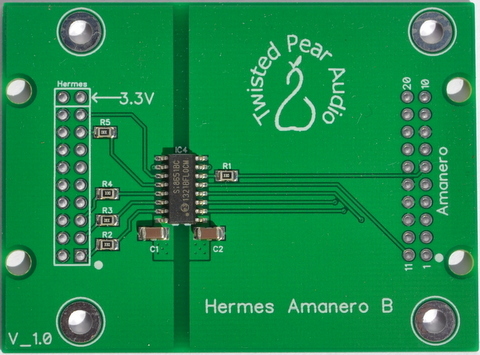 The Amanero Combo 384 module is a buss-powered, 2-channel USB2 to I2S/DSD adapter. More details can be found on the Amanero web site. Download latest Windows driver here. 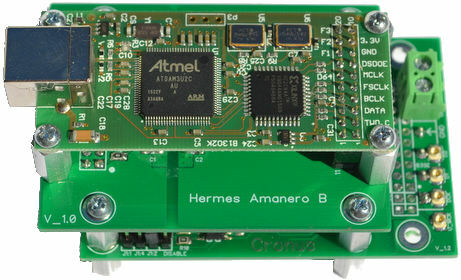 When used with the Hermes-Amanero and Cronus, the combination provides full isolation and precision re-clocking of the digital signals. 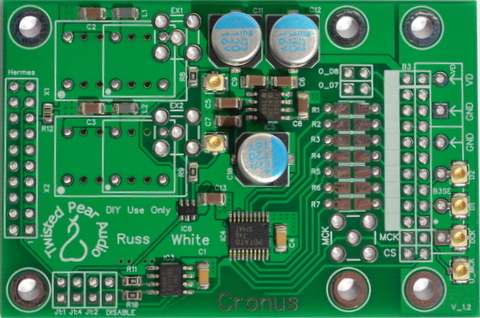 For more details on the Cronus re-clocking module, see the Cronus page.